Each summer Mission Services of London is happy to have summer students work with us for a few months. It’s a great way for them to gain skills and experience before returning to post secondary school full-time. It’s also a great way for our organization to stay connected with what students are learning in their programs and how that can shape our service delivery. 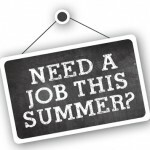 We have three summer student jobs currently, which will be posted until June 7, 2016. Come to our Grand Opening on July 23rd!